To view the top universities in South Africa in 2018, click here. 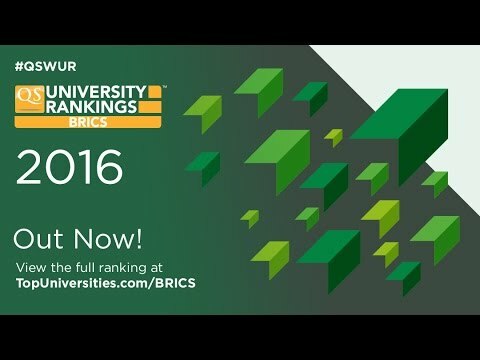 Or click here to view the full QS BRICS University Rankings 2018. First launched in 2013, the QS University Rankings: BRICS showcases the best performing universities in the five BRICS countries (Brazil, Russia, India, China and South Africa). A total of 11 top universities in South Africa are included in the ranking this year, all assessed on eight indicators including their global reputation amongst academics and employers, as well as their research impact and internationalization. Read on for an overview of the top 10 South African universities (actually 11, as two are tied), or click here to view the full BRICS rankings table. The University of Cape Town is South Africa’s highest-ranked university in both the BRICS ranking and the QS World University Rankings® 2015/16, ranking 14th in this year’s BRICS and 171st in the world. It was originally founded in 1829 as the South African College, making it the oldest university in the country. The university sits on the slopes of Table Mountain’s Devil’s Peak, offering great views. It has a cosmopolitan community of students from over 100 countries in Africa and the rest of the world, and is the alma mater of five Nobel Laureates. The University of Cape Town also has the distinction of being affiliated with the hospital that achieved the world’s first heart transplant. The university features among the world’s best for an impressive 31 out of a possible 42 subjects in the QS World University Rankings by Subject 2016, including a place in the global top 50 for development studies (9th) and geography, as well as the top 100 for a further 10 subjects, including medicine, law and agriculture. Ranked joint 26th in the BRICS countries and joint 331st in the world, the University of the Witwatersrand is made up of five separate campuses in urban and suburban areas in Johannesburg, the largest and wealthiest city in South Africa. Often called Wits University for short, the University of the Witwatersrand is another of the country’s oldest universities, established in 1896 as the South African School of Mines. It now teaches around 33,300 students, with more than 2,600 hailing from outside South Africa. The university is home to one of the largest fossil collections in the southern hemisphere and is well regarded for its programs in palaeo-sciences. This is reflected in this year’s subject rankings, in which the University of Witwatersrand features in the global top 50 for archaeology, and it’s also a strong contender for development studies (joint 14th). It ranks among the world’s best for a further 15 subjects. The next of our top universities in South Africa is Stellenbosch University, coming 35th in the BRICS ranking this year and 401-410 in the world university rankings. Located 50 kilometers east of Cape Town in the town of Stellenbosch, the university was established in 1918 and has around 30,100 students (nicknamed maties) currently enrolled. Stellenbosch is a friendly university town with a rich history and a picturesque backdrop of the Boland Mountains. The university has four other campuses, with the most recent opening in Worcester, which houses the Ukwanda Rural Clinical School of the Faculty of Medicine and Health Sciences, aiming to improve health services in rural areas. Stellenbosch University is internationally ranked in nine individual subjects, joining other leading South African universities in the global top 100 for development studies. The University of Pretoria is one of the largest of these top universities in South Africa, with more than 50,000 students currently enrolled in seven campuses which cover just under 2,800 acres. Established in 1908, it places 49th in the BRICS ranking and is in the 501-550 range of the world university rankings. The university’s main campus can be found in the suburb of Hatfield in Pretoria, one of the country’s three capital cities, which is known for its lush collection of lilac Jacaranda trees and for being a center of academia. Offering courses in English and Afrikaans, the University of Pretoria is home to the only veterinary science faculty in the country. The university currently features among the world’s best for 11 subjects, again placing among the global top 100 for development studies. The University of Johannesburg is the youngest of these top universities in South Africa, only coming to existence in 2005 when Rand Afrikaans University, Technikon Witwatersrand and parts of Vista University merged, with the aim to create a modern, unified university. Ranked 63rd in BRICS and 601-650 in the world, the University of Johannesburg is now one of the largest South African universities with around 49,500 students enrolled in nine faculties, including 2,300 international students. It has four urban campuses in the metropolitan area of Johannesburg, the largest of which is Auckland Park. The University of Johannesburg is internationally ranked in four subjects, once again achieving a top 100 position for development studies. Ranked 72nd in BRICS and 551-600 in the world, the University of Kwazulu-Natal is another young university which was formed by a merger, in this case in 2004 of the former University of Natal and the University of Durban-Westville. It’s made up of five campuses in the KwaZulu-Natal province in the south-east of the country, an area known for its attractive parks and gardens and for being the former location of the Zulu kingdom. The university has a student population of around 43,000, including many international students. The University of Kwazulu-natal is ranked among the world’s best for three subjects this year – the top 200 for agriculture & forestry, and the top 300 for medicine and education & training. The next of the top universities in South Africa is Rhodes University, which features at 75th place in the BRICS ranking and 501-550 in the world. Founded in 1904, it’s the oldest university in the Eastern Cape Province, and is located in Grahamstown, around 70 miles northeast from Port Elizabeth. The university was named after the British businessman, mining magnate and politician Cecil Rhodes. Highly residential, it’s one of the smallest South African universities, teaching around 8,000 students in six faculties, the largest of which is the humanities faculty. This emphasis on the humanities is reflected with Rhodes University’s top 200 position for English language and literature, plus another position in the top 200 for communication and media studies. A new entry to the World University Rankings 2015/16 at 701+ and ranked 111-120 in BRICS, the University of the Western Cape (UWC) was founded in 1959 and is currently home to around 15,700 students. The university played a crucial role in the struggle against discrimination and racial inequality in South Africa’s history, and was praised by the late former President Nelson Mandela for having transformed itself “from an apartheid ethnic institution to a proud national asset.” Today the university is internationally renowned for its research and has built relationships with other universities both in South Africa and beyond. The University of the Western Cape currently ranks as one of the top 300 institutions for English language and literature. The University of the Free State is ranked in the 131-140 range of BRICS this year, and is located in Bloemfontein (‘blooming fountain’, appropriately named considering the abundance of roses), which is one of South Africa’s three capitals, and the capital of the central Free State province. Established in 1904 as Grey College, the University of the Free State now has more than 31,000 students across three campuses and seven faculties, of which about 2,085 students are from overseas. The university previously only conducted teaching in English, but is now bilingual, also teaching in Afrikaans. North-West University is new to the world university rankings this year in the 701+ range, and is ranked 151-200 in the BRICS table. It was formed from a merger in 2004 of the Potchefstroom University for Christian Higher Education and the University of North-West. It’s another large institution, with about 69,000 students enrolled in its three campuses at Potchefstroom, Mahikeng and Vanderbijlpar in the North West and Gauteng provinces. The university has the motto ‘Innovation through diversity’ and prides itself on celebrating and encouraging multiculturalism, multilingualism and multinationalism. Stretching our list of the top universities in South Africa from 10 to 11, Nelson Mandela Metropolitan University is also in the 151-200 range of the BRICS ranking. Founded in 2005, it was also created from a merger, this time of the PE Technikon the University of Port Elizabeth (UPE) and the Port Elizabeth campus of Vista University (Vista PE). The university has around 27,000 students enrolled in six campuses, five of which are in the major city of Port Elizabeth on the south coast, with another campus in the city of George in the Western Cape province.